We’re on the cusp of a tech-driven evolution in business. Today’s modern, flexible solutions are providing insightful, actionable intelligence as they transform data into a comprehensive business story. 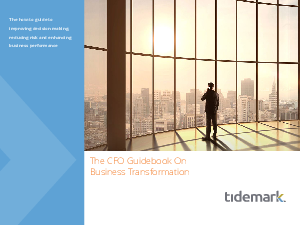 This guidebook is designed to assist visionary CFOs in taking charge of the business from an operations standpoint by leveraging mobile, cloud-based technologies, social media and Big Data to significantly improve decision making, reduce risk, enhance business performance and win in the marketplace. It will be the most important tutorial you read this year.